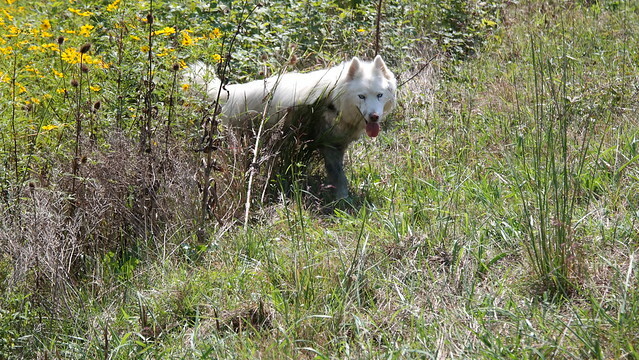 The WooFPAK was out Free Range running the fields when the WooFDriver noticed these beautiful fragrant flowers! The “Black Knight” Butterfly Bush (Buddleia davidii), it has nearly black flowers attracting butterflies, hummingbirds and bees. They are so easy to grow the they become invasive in some areas. The WooFDriver was out Free Range running with the WooFPAK when they came across these beautiful wildflowers! It was originally native to the Southwestern United States and northern Mexico, but it is now used in many places in agriculture as a cover crop, an attractant for other beneficial insects like bees and an ornamental plant. On August 27, 2014 the WooFDriver captured these beautiful yellow flowers, Golden Ragwort (Packera aurea). 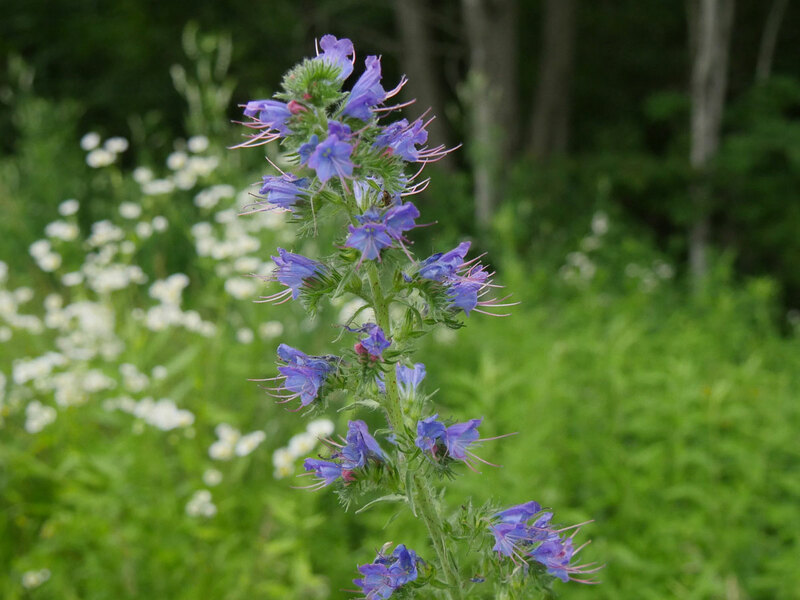 These flowers are native to eastern North America, from Labrador all the way to Florida. Enjoy these shots of these beautiful flowers! 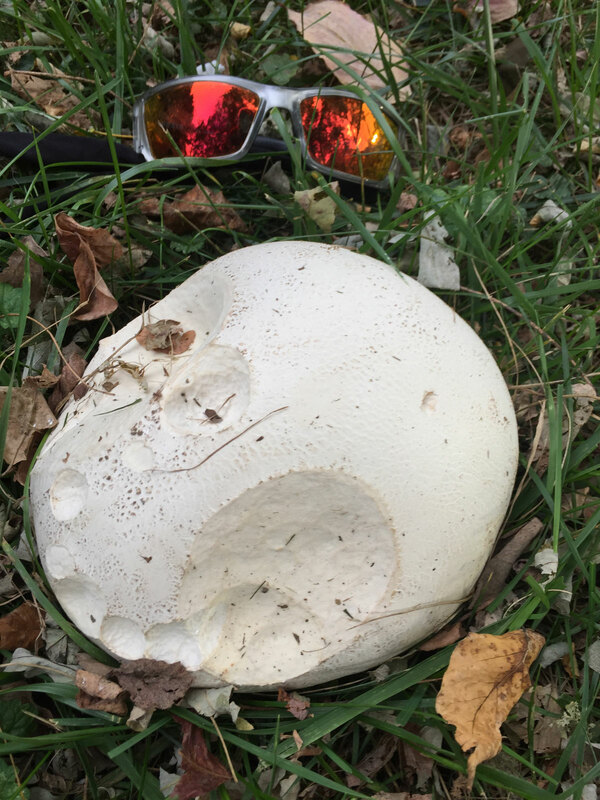 While out mushing the WooFPAK, WooFDriver and his crew came across this Giant Puffball Mushroom(Calvatia gigantea). It was hard to miss due to its size!! They are found in meadows, fields and deciduous forests in late summer through autumn. 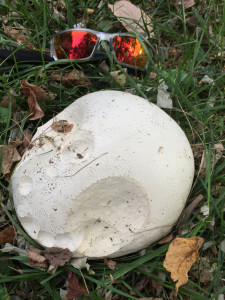 Most giant puffballs grow to be 3.9 to 27.6 inches in diameter, although occasionally some can reach diameters up to 59 inches and weight up to 44 pounds!! August 14, 2011 the WooFDriver captured a photo of this little yellow flower while hiking with the WooFPAK and the crew. I believe it to be on of the 300 species of Yellow Crownbeard(Verbesina helianthoides). 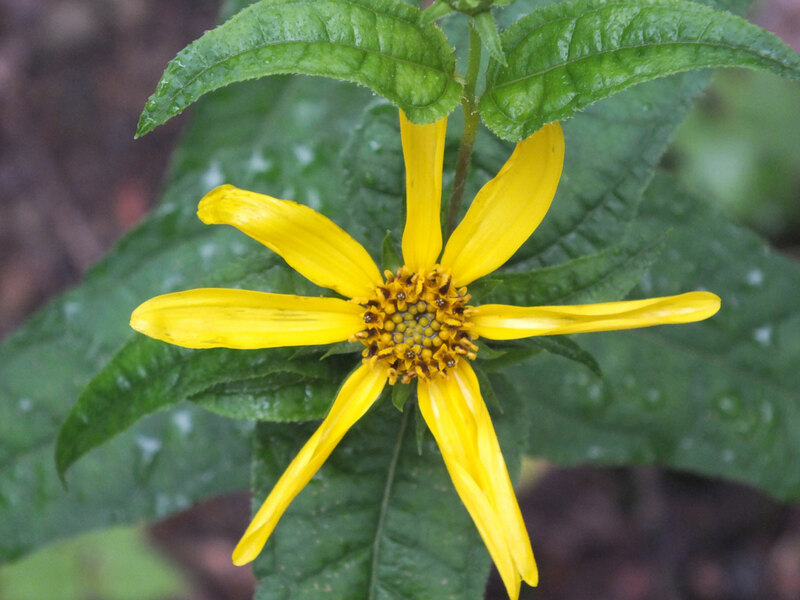 Yellow Crownbeard can be found in moist areas of prairies, savannas, glades, forests, and roadsides in full sunlight to light shade. The WooFDriver went for a mushing tour with the WooFPAK on the C&O Canal Rail Trail on December 3, 2013. 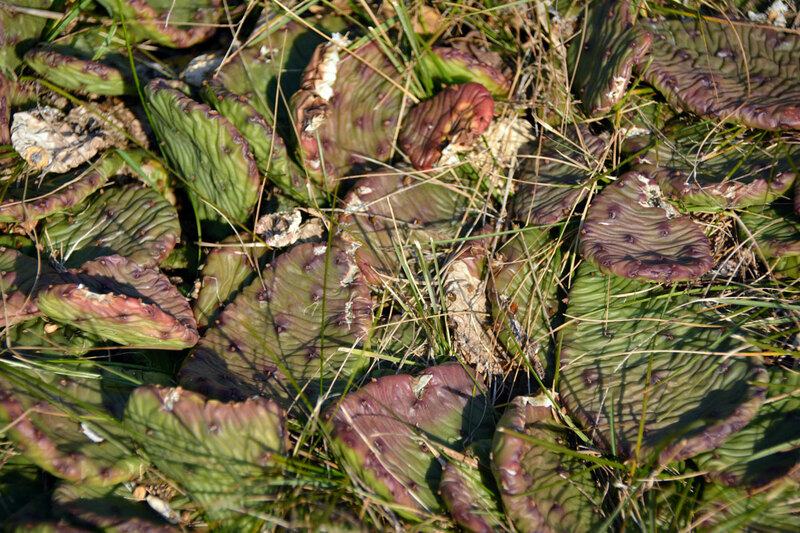 On one of their rest stops he happened to notice this cactus! 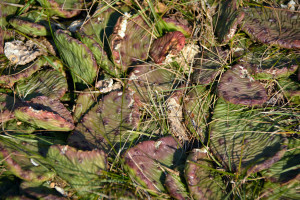 The Eastern Prickly Pear Cactus(Opuntia Humifusa) is native to Georgia but has found its way to other parts of the Eastern North America. When it flowers they have yellow petals with orange-red throats. They develop pale magenta fruits in fall. June 2, 2014 while Free Range running the WooFPAK, they came across these mushrooms growing on a log. Eyelash Cup Mushrooms(Scutellinia scutellata) they grow mostly in groups(but can be found alone) on dead trees, damp soil, and wet leaves. On July 21, 2014 while Free Ranging running the WooFPAK, the WooFDriver happened to look in a mini-cave and saw this coral fungus(Artomyces pyxidatus) growing on a log! 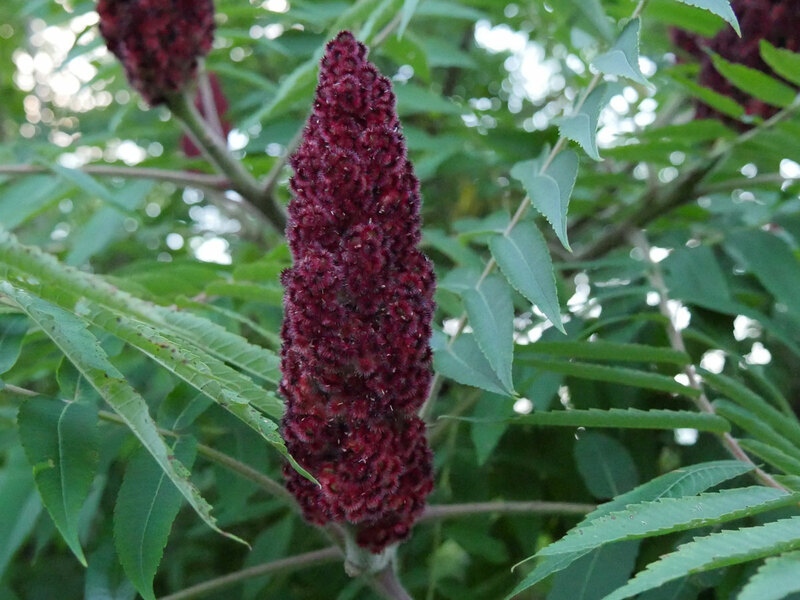 They favor growing on dead trees of aspens, tulip trees, willows and maples. This fungus is widely spread throughout eastern North America, the Rocky Mountains and Mexico, but are rare on the west coast. Mushroom Expert’s Webpage to learn more about this variety of mushroom. 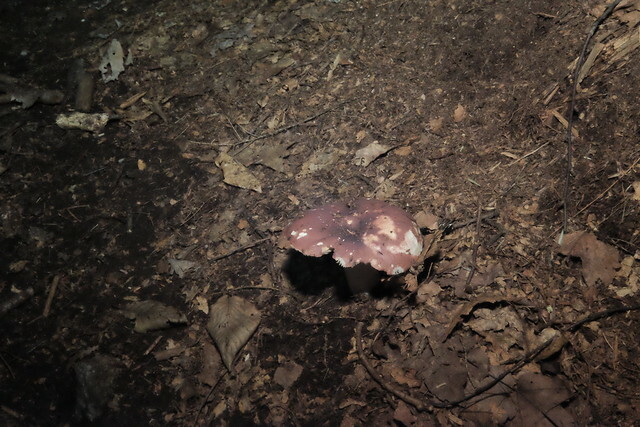 While chasing the WooFPAK on the ATV on July 17, 2014, WooFDriver couldn’t help but see this bright red mushroom! It appears to be of the russula emetica variety, and if so is poisonous!! They grow under pine trees in summer to late autumn and are a common mushroom to find. Enjoy photos WooFDriver has captured of this mushroom! Rogers Mushrooms Webpage to learn more about this mushroom variety. 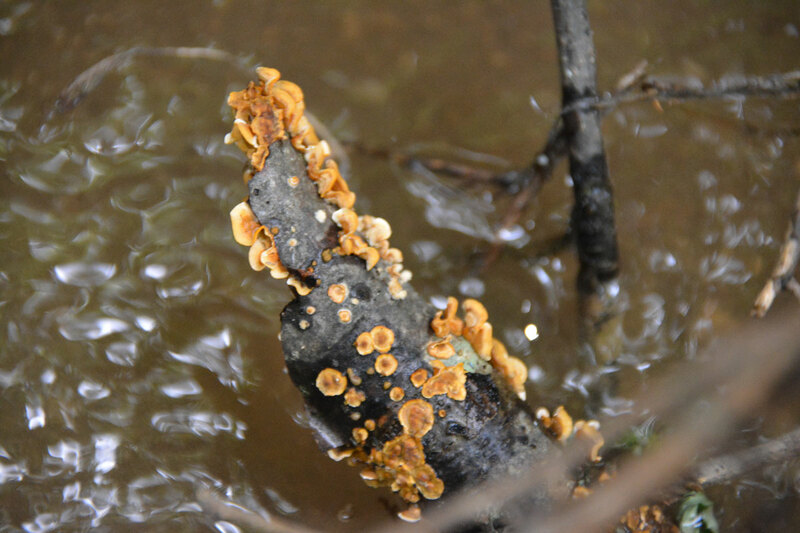 July 18, 2014 the WooFPAK went to do some Free Range running and came across this fungus growing on a large stick in the stream. I believe this to be Crowded Parchment Fungus (Stereum Complicatum). It is the most common parchment fungus and unlike mushrooms it grows without a stalk. Color ranges can be pink, tan, or cinnamon.